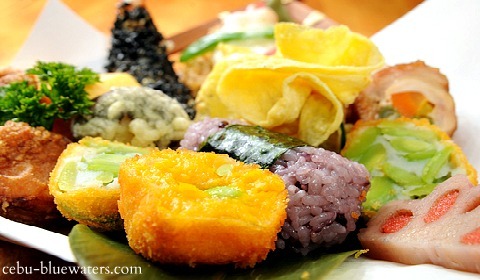 It is commonly known that Japanese food culture has some influence the Filipino style of cooking. That influence started a few hundred years ago, fundamentally being brought by traders. Secondly, when the Japanese Christian were persecuted in the 16th century, many of them find refuge in the neighboring countries, including the Philippines. Further, when the Japanese imperial army occupied the country, although in a short period of time in history, the invaders' food culture have been introduced to locals in various although not in a grand scale. Given the historical examples above, we can say that Filipinos are familiar with Japanese food and this familiarity has been spread from certain localities and has been heightened especially during the 2oth century. Now, to make our story short, let me introduce to you the Japanese dishes that you can taste available in Cebu Province. Generally, it is known that basic and most important food in a Japanese cuisine is rice for over 2000 years. Of course, with some influences from the West and other cultures, the way they prepare them has changed over time. We can say that there are a number of categories, which include: rice dishes, seafood dishes, soya bean dishes, nabe dishes, noodle dishes, yoshoku dishes and more. The rice dishes can include: white rice, sushi, donburi, onigiri (rice balls, kare raisu (curry rice), etc. The seafood dishes can include: various fishes and shellfish from lakes, sea or river. Fish can be eaten raw, cooked, boiled, grilled, fried or just steamed, e.g. 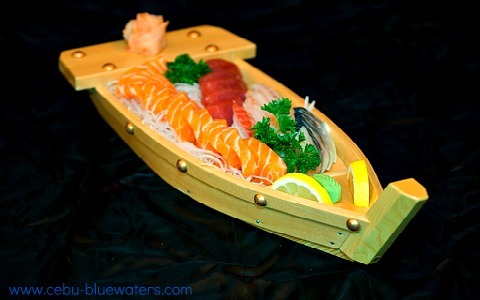 sashimi and yakizakana dishes. Nabe dishes are hot pot dishes that are usually serve on the table while eating. They are typically prepared with vegetables, including leeks, cabbages, mushrooms, seafood and some thinly sliced meats. The nabe dish is usually served during cold winter seasons. These dishes include: sukiyaki, shabu shabu, chanko nabe, and oden. Meat dishes, which historically only came and included in the Japanese menu in the second half of the 19th century, is another dish that attracts meat-eating cultures. 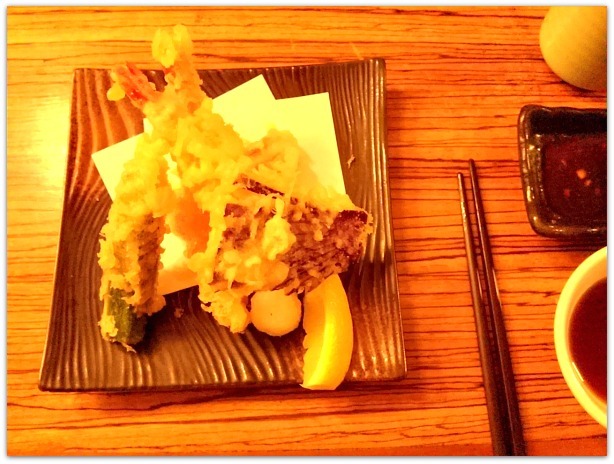 These dishes include: teppanyaki, nikujaga, yakiniku, tonkatsu, and yakitori or the skewered grilled chicken. Yummy! Soybean dishes (usually called 'tufu') include: yudofu, agedshidofu, miso soup, and hiyayako. You can have such dishes at KAISHU Seafood Japanese Restaurant with your love one, friends, and anyone you want to treat with much respect and honor. Kaishu only offers fresh seafood for lunch and dinner every day on this island of Cebu. And, they have the eat-all-you-can buffet style every Saturday evening! But most of all, Kaishu Restaurant offers free shuttle service around Mactan area for your great convenience. Bento is a box with smaller divisions for various Japanese foods which typically include rice, fish or meat, pickles, and other cooked veggies. Open 7 days a week all year round except on special holidays! 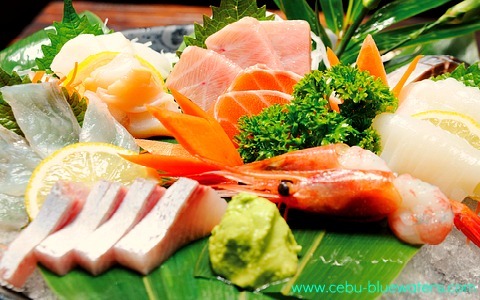 Having such various places for you to choose from, you can truly enjoy the services of this authentic Cebu Japanese restaurant. Thanks for visiting and reading to the end this page. Feel free to scan more deeply this website and discover some more interesting travel destinations, historical sites, vacation facilities and resorts. Have a great day... Idadakimasu!